European Union leaders and Turkish Prime Minister Ahmet Davutoglu are due to meet again in Brussels this week (March 17–18) to finalise an agreement on the resettlement of refugees. Europe appears ready to come together and hold its nose to get the deal done but there is still the potential it could fail, leaving Greece alone and holding its head. The plan put on the table last week for any refugees arriving in Greece to be returned as quickly as possible to Turkey and for the EU to relocate asylum seekers directly from there makes some sense. If the refugees crossing the Aegean with the help of smugglers slip down the list of those eligible for resettlement, while others who wait their turn to be transferred from Turkey move to the EU at a respectable rate, then the incentive for using smugglers should disappear. The other potential benefit is that – in theory – it establishes a fixed process for moving refugees from Turkey to the EU. It is obvious that the relocation programme adopted last year has failed. The lack of participation from most EU member states has rendered it a shambles. Greece was promised that more than 60,000 people would be transferred over two years but less than 900 have been relocated since last year. However, even if the relocation scheme worked more efficiently, there was a danger that it would be seen as encouraging refugees to seek out smugglers and risk their lives to reach Greece so they could have a chance of gaining a ticket to an EU sanctuary. Then, there is the practical aspect of the matter. Once Austria, in cahoots with a series of Balkan countries, decided to ignore the EU’s common position and enforce strict border restrictions, reducing the number of asylum seekers it would accept, and how many could cross its territory each day, the die was cast. This had a trickledown effect along the so-called Western Balkans route, culminating in the Former Yugoslav Republic of Macedonia (FYROM) operating as Europe’s nightclub bouncer, opening the gates to let a few people in at the Idomeni crossing sometimes and closing them completely at others. This creates a fait accompli in the sense that the informal method of allowing refugees to diffuse within the EU (although most ended up in Germany) by letting them register in Greece and then continue their journeys northwards largely unimpeded is no longer available. Austria and its Balkan allies exposed the EU’s toothlessness in such situations and forced German Chancellor Angela Merkel’s hand. The mechanism for taking refugees directly from Turkey clearly struck her as the best way to avoid Schengen falling apart, the EU’s cohesion being tested, human smugglers being guaranteed a steady flow of business and Greece becoming a holding pen for tens of thousands of desperate people. However, there are a number of potential pitfalls to the plan Merkel has pivoted to. Firstly, it relies on Turkey’s unfailing cooperation. Turkey will play a key role as it has to ensure there is an orderly process for relocation, while accepting the return of refugees from Greece. 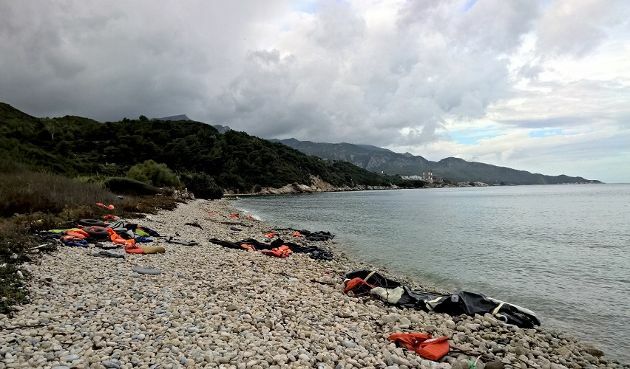 Ankara has already rushed to say it will not accept those who are already stuck in Greece, raising questions about what will happen to the tens of thousands currently stranded. Also, Turkey has displayed a stunning capriciousness in its negotiations with the EU, squeezing out more money and concessions along the way. President Recep Tayyip Erdogan’s despotic style provides no assurances that Ankara will abide by the deal, especially if the release of the six billion euros in humanitarian aid pledged by the EU is held up by the customary bureaucracy in Brussels. The latest plan also places a new kind of pressure on Athens. Greek authorities would have to register and process arrivals swiftly to obtain the authorisation from Turkey to send them back. Can Greece’s asylum service, which numbers less than 250 people, cope with the load? Will the Greek judicial system be able to cope with the weight of the appeals against readmission that refugees are allowed to file under local legislation? If they can’t, Greece will be singled out – not just by its EU partners, but by Turkey as well – as the weak link in the chain, heaping more scorn on the country and strengthening calls for its isolation. Then (if anyone in the EU actually still cares about this kind of thing) there are the moral and legal complications. A series of rights groups, including Human Rights Watch and Amnesty International, have raised serious doubts about the safety and legality of sending back asylum seekers en masse to Turkey, a country that neither properly recognises them as refugees since it does not fully comply with the Geneva Convention, nor meets the criteria of what is considered a safe country. The United Nations’ human rights chief Zeid Ra’ad Al Hussein also warned last week that “arbitrary expulsions” from Greece could be illegal. If any of these complications lead to the plan currently on the table unravelling in the weeks or months ahead, it will undoubtedly be a major embarrassment for the EU, not to mention a disaster for the refugees involved. For Greece, which appears to be backing the Merkel-engineered scheme heartily, it will be a nightmare. Greece is the only one of those participating in the process that stands to lose if the mechanism breaks down. If refugees are not resettled directly from Turkey, Ankara can just turn a blind eye to their efforts to leave the country to reach Greece and reduces numbers that way. If they arrive in Greece, the countries to its north have already taken their precautions to keep flows across their borders to a minimum. Albania and Bulgaria are already following the example of others in the Balkans by strengthening their border defences. These limitations also benefit Germany indirectly as it reduces the numbers reaching its territory and makes the flow more manageable. Greece, though would be left isolated, with the numbers of refugees trapped within its borders growing and nowhere for them to go. Dealing with that would be some headache. *This article first appeared in last week's e-newsletter, which is available to subscribers. More information on subscriptions is available here. When only the slightest suggestion is made to rein in the flow of refugees, the standard reaction is the reference to the 1951 Geneva Refugee Convention. In view of this, I am surprised that there really hasn’t been much public discussion about what this Convention really says and how it could be legally contested. After all, the EU managed to contest Maastricht, the no-bail-out clause, the ECB’s prohibition to buy government bonds, etc. When it came to the idea of expelling Greece from the Eurozone, not legally possible under treaties, one of the EU leaders, I believe it was Juncker, said that smart lawyers would find ways. Thus, I predict that we will hear a lot about such contestations in the future. My below comments are based on a couple of serious TV discussions on the Geneva Convention and not on my own having read it. I tried to read it but it got too complicated for my aging brain. It seems clear beyond any doubt that the Geneva Convention defines a refugee as someone who has reason to fear persecution because of „race, religion, nationality, membership in a certain social group or because of political conviction“. The signatories of the Geneva Convention have a contractual obligation to grant such refugees asylum. It should be noted, however, and this seems to me the most important point, that war and/or civil war ARE NOT qualifications to be recognized as a „Convention Refugee“. From that legal standpoint, only few of the present refugees would seem to qualify under the Geneva Convention. In its own Asylum Policy Directive, the EU has established rules for those who are not „Convention Refugees“. They have created the terms „subsidiary protection“ and „temporary protection“. From what I gather from the TV discussions, most of the present refugees would fall under the category of „subsidiary protection“.